ABS, the leading provider of classification services to the offshore industry, is pursuing multiple major joint development projects (JDPs) with Keppel Offshore & Marine Technology Centre (KOMtech). The JDPs will include topics such as special purpose rigs, data analytics, and subsea technology. Visit http://www.marineinsight.com/shipping-news/abs-keppel-define-jdps-accelerate-innovation/ to view the full article online. Visit http://www.printedelectronicsworld.com/articles/9679/next-generation-display-for-diving-helmets to view the full article online. Subsea technology company Sonardyne International Ltd. recently mapped the seabed in Monterey Bay, Calif. using 2G Robotics’ underwater laser scanning equipment. This high-resolution deepwater dynamic mapping of Sur Ridge was performed using 2G Robotics’ ULS-500 underwater laser scanner mounted to a remotely operated underwater vehicle (ROV). Visit http://www.marinetechnologynews.com/news/underwater-laser-scanner-mobile-534556 to view the full article online. Crews sent down to perform cleaning and maintenance of Bertha’s cutterhead will encounter hyperbaric conditions, similar to those found in an underwater dive. Visit http://www.geekwire.com/2016/seattle-tunnel-hyperbaric-site/ to view the full article online. Looking for work? It might be time to jump into a career in commercial diving. While it may go against the tide in terms of national employment trends, all along the West Coast of Canada there’s an acute shortage of commercial divers. Visit http://californiadiver.com/commercial-divers-needed-on-canadas-west-coast/ to view the full article online. The wreck removal of the Dutch freighter MV Flinterstar is underway in the North Sea off Belgium with salvage crews successfully lifting the bow section from the seabed earlier this week. The operation to remove the wreck has been ongoing for the past 10 weeks as a consortium of Belgian marine contractors prepared the wreck for the lifting operation and mobilized equipment. Visit https://gcaptain.com/mv-flinterstar-bow-lifted-from-north-sea-off-belgium/ to view the full article online. For 72 years, it was missing in action. The Navy torpedo bomber rested on the sandy bottom off Palau’s coast, its fuselage violently broken from anti-aircraft fire amid heavy fighting of World War II. Its presence there in the South Pacific went unnoticed until this spring, when a volunteer team of divers, historians and oceanography experts found the wreck. After some research and calculations – plus some high-tech sonar – the team determined the aircraft was a three-man TBM-1C Avenger that had crashed during a bombing run in July 1944. Visit https://news.usni.org/2016/07/04/lost-wwii-torpedo-bomber-72-years-later to view the full article online. It was a Sunday night and the Canadian schooner Royal Albert had just gotten underway a few hours earlier, bound for Toledo and loaded with 285 tons of railroad rails. Then conditions on Lake Ontario worsened. The 104-foot schooner was near Fair Haven, New York, when its heavy cargo shifted on that night of Aug. 9, 1868. That caused the ship's seams to burst. It filled with water and sank quickly. Its crew used a small yawl craft to escape and reach the shore. Visit http://www.mlive.com/news/grand-rapids/index.ssf/2016/06/shipwreck_of_canadian_schooner.html to view the full article online. 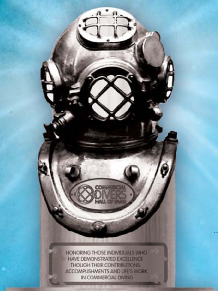 JW Fishers has invited customers in commercial diving, law enforcement, military, marine archaeology and recreational diving to submit photos and videos of underwater search equipment, offering a $250 gift certificate for each video interesting enough to post on the company’s website, and a $100 gift certificate for each good photo. Visit http://www.marinetechnologynews.com/news/fishers-offers-prizes-photos-534192 to view the full article online. Technavio has announced the top five leading vendors in their recent global marine electric vehicles market 2016-2020 report. This research report also lists four other prominent vendors that are expected to impact the market during the forecast period. Visit http://www.benzinga.com/pressreleases/16/07/b8183124/technavio-announces-top-five-vendors-in-the-global-marine-electric-vehi to view the full article online. Atlas Copco, a leading provider of sustainable productivity solutions, has acquired the operating assets of Roxel Rental AS, a supplier of temporary air solutions for the Norwegian offshore industry. Roxel Rental is based in Stavanger, Norway, and is part of the Roxel Group. The company had revenues in 2015 of about MNOK 12 (MEUR 1.3). Two of the company’s employees are joining Atlas Copco. The parties have agreed not to disclose the purchase price. Visit http://www.yoursubseanews.com/atlas+copco+acquires+norwegian+offshore+compressed+air+rental+business_134259.html to view the full article online. Scottish subsea training facility, The Underwater Centre, has linked up with Bibby Offshore to provide ROV apprentices with the opportunity to gain practical hands-on experience, unavailable anywhere else in the world. The apprentices, who are employed by Bibby Offshore but are still too young to go offshore, will benefit from operational experience in the field with live ROVs and will undertake a wide variety of tasks including the mobilisation/demobilisation of the work class ROV. The first two apprentices have completed three weeks of training where they gained experience in the Centre’s mechanical workshop and also on board the work class ROV vessel, Loch Sunart. Visit http://www.yoursubseanews.com/the+underwater+centre+and+bibby+offshore+link+up+to+offer+apprentices+unrivalled+rov+experience_134078.html to view the full article online. Royal Boskalis Westminster N.V. (Boskalis) has concluded the acquisition of offshore-related activities from VolkerWessels. The transaction strengthens Boskalis' position in the attractive, growing offshore wind energy market. Visit http://www.yoursubseanews.com/boskalis+closes+acquisition+of+volkerwessels+offshore+wind+energy+activities_134133.html to view the full article online.